This is the last chapter of Kanade we will be doing. Read last page in the chapter for more info – but long story short: we don’t have enough staff who are willing to work on this series. Doesn’t help that every chapter is around 35+ pages. Anyways, here’s the end to volume two. Catch it on Batoto or IRC. Sing Yesterday for Me 51, Sore wa Totsuzen 20, Kanade 8! 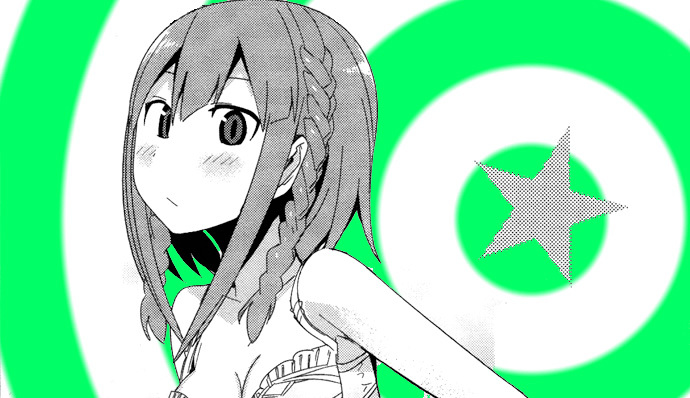 Next chapters of SWT, Kanade and SYFM for you all tonight! SWT has only a few chapters left in the series. Looking forward to seeing it to its completion! Kanade seems to be spicing up! Village Idiot is considering dropping this series, so if you’d like to see it continued, voice your support on the comments or come talk to us on IRC. Anybody willing to help work on the series is more than welcome to apply. SYFM, again?! Yup, enjoy another chapter of this slice of life romance-y goodness. Haru is best girl, by far. Come grab them off of IRC, like usual, or wait till I get around to upping to batoto. Your choice. On a personal note – I rec recommend all Village Idiots to check out the one shot we released yesterday with Futari wa Pretty Anon. It’s only 60 pages, and a good read. We’re also planning on working on an earlier version of the oneshot with a supposedly different ending. Stay tuned! Here’s the next chapter of Kanade, please thank the people that worked on this chapter. Like most of our series right now, we really need some help. Kanade needs a cleaner and a typesetter, and although we don’t have the script for chapter 8, I’m sure it’s coming. Speaking of series that need staff, we have 2 chapters of Regatta. I did most of the cleaning on these chapters, with the help of Einlander on a redraw, and as you might have heard I’m barely qualified to be a scanlator, so I need all the help I can get. We are in bad need of redrawers: Again!! and Moteki are both stalled until we can find people to work on them. If you think you can help, please apply. Last thing, I want to thank all those that have donated, and remind everyone that we have not reached our goal yet, so if you enjoy our releases please consider donating. Thanks in advance. Kanade 6 is done thanks to Chie cause seems like no one wants to typeset this series, could have been done a lot sooner, the trigger is !kanade6. Again!! was delayed because of me but we’ve got it done thanks to Supreme Cream and thealphalink’s great redrawing skills, the trigger for this one is !again19. This is the last chapter of volume 2. And I hope we’ll see volume 3 soon, we might need a translator. It’s very late and a bit rushed. I wanna thank Sora for doing the extra pages, there was as much text in those pages as a regular 20 page chapter. Not much else to say, this project needs staff. Please apply! BAD NEWS: We’re dropping Unbreakable Machine Doll (Kikou Shoujo wa Kizutsukanai) with the release of this chapter. If you don’t know what’s going on, there’s a previous post that will more or less explain why we’re dropping the series. BEST NEWS: Apparently these three releases today don’t have watermarks. We’re recruiting translators and cleaners. Only the best, please.